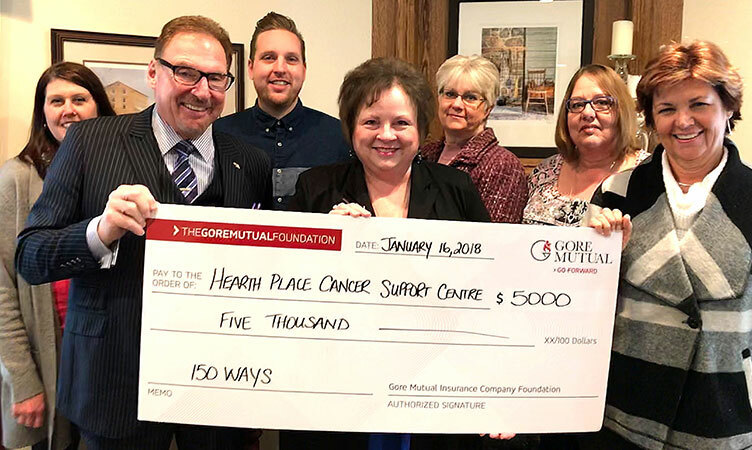 As part of the Gore Mutual 150 Ways campaign, Gore Mutual, in partnership with Petley-Hare Ltd. has donated $5,000 to Hearth Place Cancer Support Centre in Oshawa, Ontario. The charity was nominated by Petley-Hare Ltd. in October. Hearth Place Cancer Support Centre is committed to providing community support for people diagnosed with cancer and their families through individual and group support, information, a resource centre, wellness programs and an ongoing lecture and discussion series. Patients and their families can come and share their experiences, find resources and discover new ways to care for themselves and each other. Hearth Place is a wonderful resource for people inflicted with such a devastating disease. It helps those in our community come together and know they are not alone and that is why Petley-Hare Ltd. nominated Hearth Place Cancer Support Centre. Want to learn more about Hearth Place Cancer Support Centre? Visit their website here.